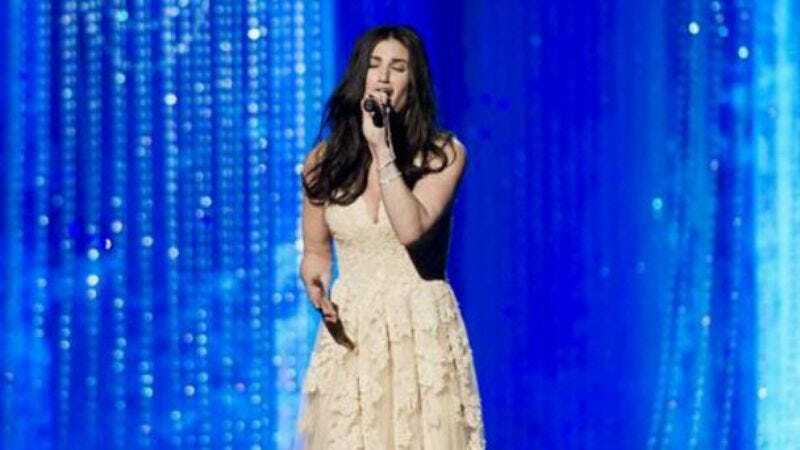 Now, Idina Menzel being Idina Menzel, she’ll probably kill it, and the crowd will want her to do an encore. But we think she should resist the urge to pull out the crowd-pleasing “Let It Go” from Frozen. After all, that song has barely anything to do with football. Instead, we’ve decided to write some new lyrics for “Let It Go” that she can sing instead, and we think this could be a pretty big hit. Make sure to hit play on the YouTube video at the bottom before singing along at home. “Super Bowl,” to the music of “Let It Go” from Frozen. Turn away and throw the ball! The score never bothered me anyway. Can’t get past my offensive line at all! No right, no wrong, no rules for me, the ball is free! You’ll never see me pout! Let the game rage on! That perfect quarterback is gone! The score never bothered me anyway!